The LRWB’s Thermal-Pak II Coil now features CrossCool Internal Tube Enhancement, increasing the internal heat transfer coefficient of the coil and thus the cooling capacity of the unit. The LRWB offers the most models and box sizes in the industry and is designed with IBC Compliant Construction and CTI Certified Performance. Crafted from decades of engineering know-how, the Containerized (cAT) cooling towers series from EVAPCO features state-of-the-art induced draft, counterflow technology to deliver superior operating advantages in any climate. From performance to maintenance, they simply work smarter. 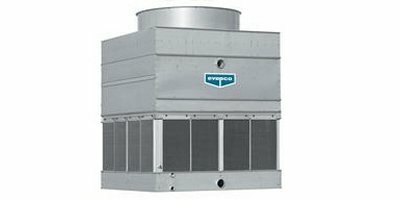 Crafted from decades of engineering know-how, the Advanced Technology (AT) cooling towers series from EVAPCO features state-of-the-art induced draft, counterflow technology to deliver superior operating advantages in any climate. From performance to maintenance, they simply work smarter. The LSWE’s Thermal-Pak II Coil now features CrossCool Internal Tube Enhancement, increasing the internal heat transfer coefficient of the coil and thus the cooling capacity of the unit. The LSWE offers the most models and box sizes in the industry and is designed with IBC Compliant Construction and CTI Certified Performance.